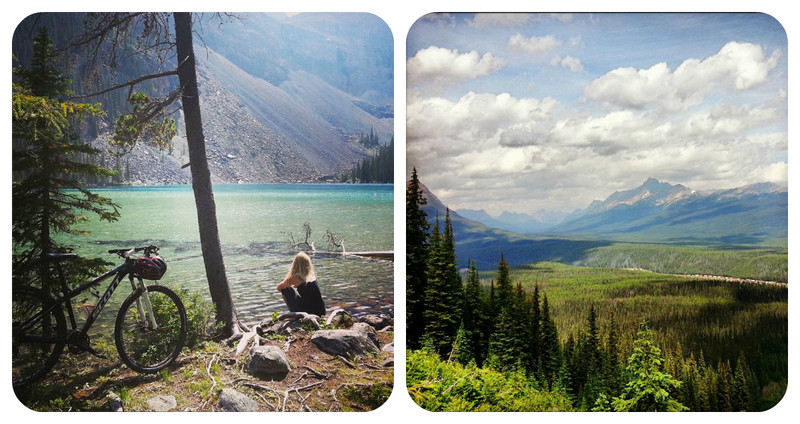 5 Reasons Why You Should Visit Banff National Park-Now! During my time in Canada I have left Banff only on two occasions in the 8 months that I have been here, it has a magnetic energy that leaves you wanting more and awe inspiring landscapes like no where else on earth. It seriously is a must see destination and here are my top 5 reasons why-with a few of my own photos to help Illustrate. Being located in a National Park where the wildlife is protected, WILD and easy to discover makes this one of the best destinations for wildlife spotting in the world. 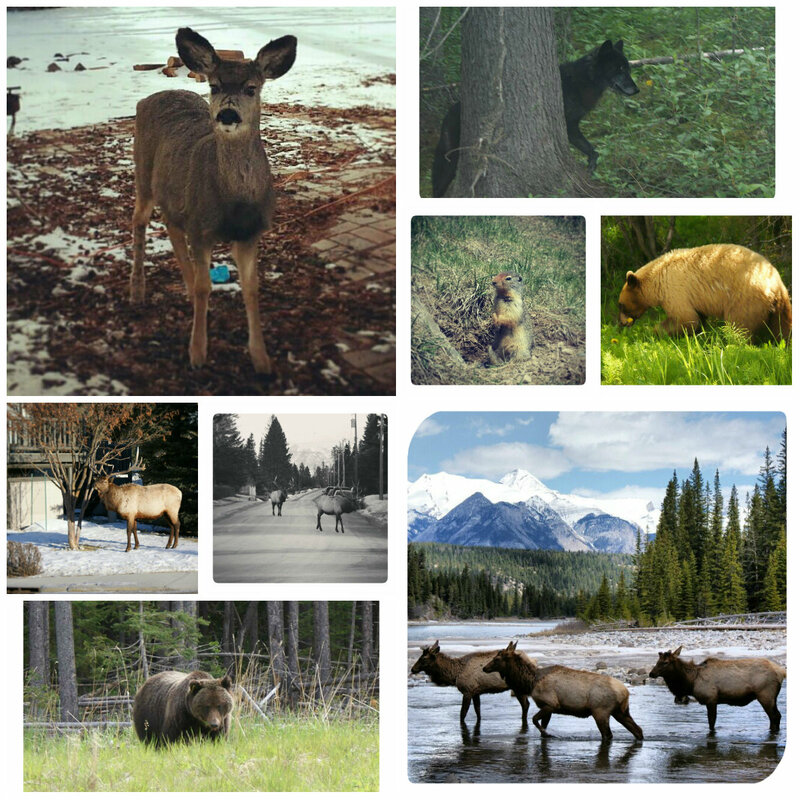 I have seen 10 Bears , herds an herds of Elk, Mule Deer, White Tailed Deer, Moose, Black Wolf, Columbian Ground Squirrels, Chipmunks, Mountain Coyote, Rocky Mountain Bighorn Sheep and Mountain Goats. Close encounters are very common, especially with Elk and Bears. Follow Parks Canada’s rules to enjoy a safe and enjoyable experience. With three ski areas covering almost 8,000 acres of ski able terrain you are spoiled for choice when you visit Banff National Park. World-class skiing in Sunshine Village with the driest powder perfection I have ever experienced, tiny Norquay only 5km from Banff Town and Lake Louise offering you the time of your life you will be begging for an apres ski pint and soak in the Banff Upper Hot Springs at the end of each day. I came to Canada mainly to snowboard and mountain bike, and being surrounded by the Rocky Mountains this is one the finest places in the world to do this. With routes offered within cycling distance or in nearby Lake Louise there are trails to suit everyone’s standards-hard-core ripper to beginner. Couple this adrenaline filled activity with scenery from a movie (literally a movie-Matthew Mcconaughey was filming here just last week) and you are in bikers paradise. 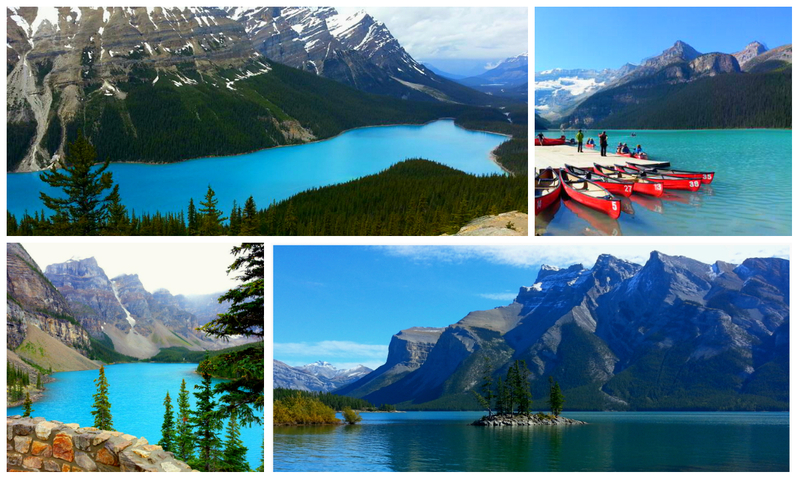 Lake Minnewanka (pronounced mini-won-ka), Lake Louise, Moraine Lake and Peyto Lake are some of the worlds most beautiful natural phenomenons. The Awe-inspiring natural features that include glistening turquoise waters surrounded by the magnificent Rocky Mountains are what draw visitors to Banff National Park year after year. Hiking, sailing, swimming, mountain biking, boating and fishing opportunities are in abundance here where you can truly relax in Grizzly Bear country. If you want to truly escapes the demands of the corporate world and experience nature at its most finest then there is nothing more wild than camping in a National Park where Grizzly Bears, Coyotes, Wolves and Cougars roam wildly around you. There is a bounty of campsites available for RV’s, tents and walk in sites to suit all types of adventure seekers. Set up camp, light the fire and relax.